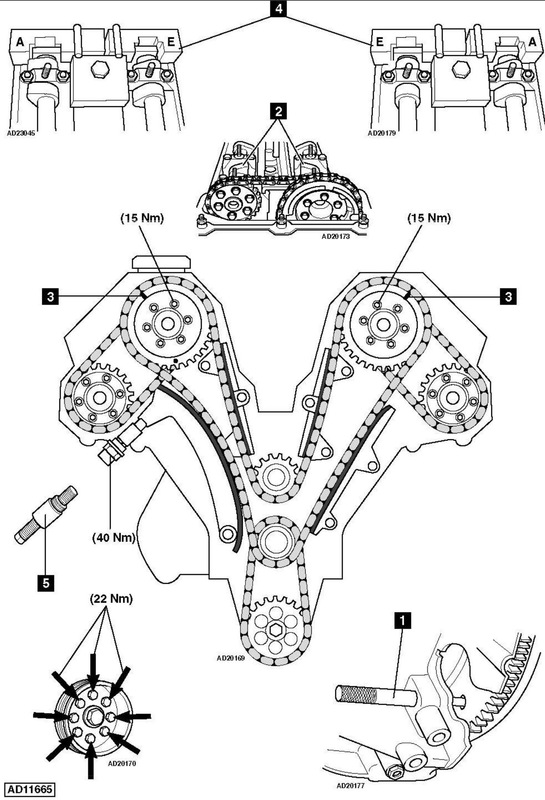 BMW E32 740i 1994-96 timing chain change instructions and replacement inteval. Full guide! Camshaft alignment tools – BMW Nos.11 2 441/442/443/444/445. Timing chain pre-tensioning tool – BMW No.11 3 390. Insert flywheel timing pin  . Tool No.11 2 300. Ensure No.1 cylinder camshaft lobes are facing  . Ensure arrows on camshaft sprockets face upwards  . Install camshaft alignment tools  . Tool Nos.11 2 441/442/443/444/445.